Our professional decorating and painting experts have painting and decorating as their primary profession and help you to achieve the best finish that you’ve been finding difficult to attain with a DIY. 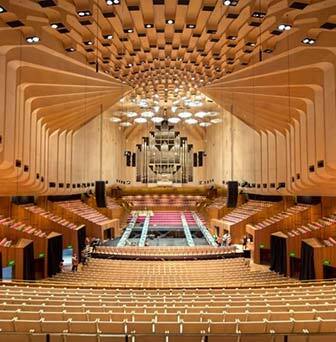 Being in the industry for over two decades, we’ve experience in handling any larger projects and provide a first-class service, quality and customer satisfaction that is second to none in Sydney. Not getting the layers of paint even across all areas of the wall and more. In some situations, even putting up a wallpaper to spruce up your home interior becomes a hectic task to deal with. So, are you giving a thought on any industrial, residential, or commercial painting or decoration job? Get in touch with out Sydney painters and decorators to get the job done well and at the right time. Our industrial, commercial and residential painters Sydney specialise in all kinds of internal and external painting works in Sydney for home, heritage, office, hotels, schools and factories. Our trained professional specialise in different kinds of painting services such as residential painting, commercial painting, hotels painting, special effects painting, office painting, epoxy flooring, industrial painting, warehouse painting, roof painting, interior & exterior painting, heritage painting, concrete painting, and more. At Starland Sydney Painters and Decorators, we work with the purpose to provide top-notch residential, commercial and industrial painting and decoration services that are carried out only by certified individuals. With over 20 years of experience in the industry, our success is clearly visible through the high-quality painting and decorating works we’ve done for our clients. Our’s is a quality driven company based in Sydney with a great number of qualified professionals partnered with a knowledgeable management team to undertake any commercial, industrial, residential or government projects. Starland Sydney Painters and Decorators is the ideal choice for you if you are looking for qualified professionals to handle your painting and decorating projects for your commercial office, retail outlet or large residential home. Flexible hours of working and more. Today is the race of green living, isn’t it? At Starland Sydney Painters and Decorators we use only eco-friendly, green products and paints with no smell. As a leading painters and decorators in Sydney, we also provide expert advice to our clients that result in positive results always. Our clients recommend us as we keep our communication high with them and deliver a quick, courteous, clean, and trustful service. Our house painters have the highest standards of quality and service in Sydney residential painting sector. Whatever your reason for painting, Sydney house painters have the talented staff and painting experience to make it happen. 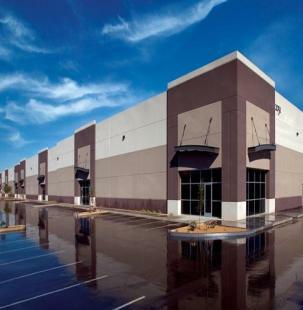 Our Commercial Painting division has the facility to carry out jobs both large and small. 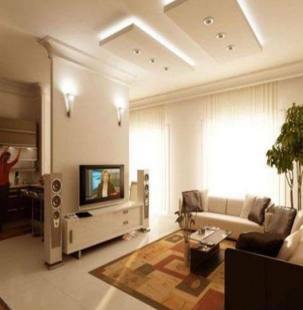 We employ high quality, experienced decorators and production managers to deliver the project on time and on budget. Starland Painters Contracts specialists in industrial painting services in Sydney including warehouse painting, factory redecoration, floor painting, cladding, steelworks, concrete and many more. 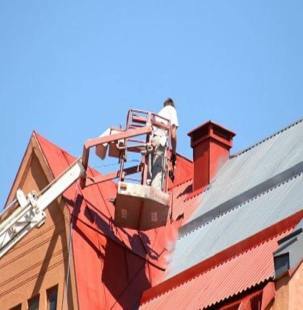 If you’re looking for advanced and modernize roof painting services, then you have a great opportunity to contact us. Our highly trained experts offer all types of roof painting experienced in roof repair, roof restoration, roof cleaning and many more. Interior painting and decorating is not the same as other painting jobs, which means you need to find a professional service that understands how to navigate around lighting, decorative hardware, railings, windows, doors and more. 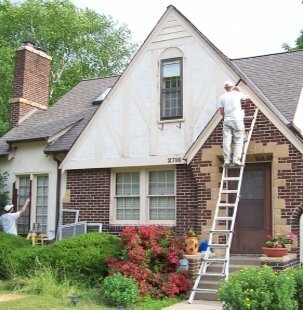 Starland painting provides a variety of exterior painting services. Once we determine your needs based on the consultation and the type of building material, we give you a reasonable rate! At Starland Sydney Painters and Decorators, our motto is “Impossible is Possible.’ With a combined experience of over half a century, we have been specialising in all aspects of maintenance jobs that include interior and exterior painting and decoration of high end residential, industrial, strata, commercial and other buildings. The primary reasons of our success are high quality workmanship backed by a greater level of customer satisfaction and workmanship that is in a less expensive fashion. We work with the aim to provide a high quality service with an unquestionable workmanship at a relatively affordable price that makes our clients happy. Our business relationship with our present clients is brought up by our love, passion and commitment to our profession. Our team of expert use only premium quality products and knows which colour or what type of decoration looks best on your home or office building. 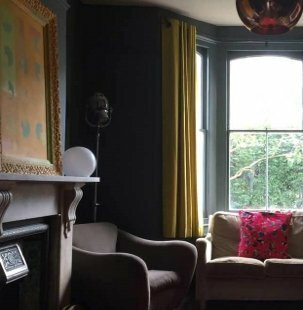 With strong tones and pops of colour, our experts helps you to finish off your new build in style and restore old property to the new glam. Our customer service and sales team work hard to provide a positive experience all year-round for our clients. When it comes to decorating and painting projects, we are the leaders in quality. We are ready to assist you any time with your painting and decoration project and offers a clean quote that is competitive and affordable. If you are looking for the right painters or decorators for your home or office, tell us your vision, requirement and colour palette you have in your mind, we will ensure that we will create a masterpiece that exceeds your expectation. Whether you require a painting for your luxury or modern home, or maintaining body corporate decoration, we perform all the residential and commercial makeover with utmost care and can make your investment worth spending and lasts. Does your company respond to urgent calls? YES. We provide 24/7 services and attend all emergency jobs as quickly as we can, providing the job is in our serviced areas. How much painting does cost? The costs associated with your painting project/s can be vary, depending on a number of factors, including but not limited to, the scale and specifications of your project/s. We do NOT provide any cost estimates without seeing the actual job, talking and listening to our clients’ needs and wants, i.e, specifications, time frames, budget and so on. If you do receive an estimate over the phone, please do NOT totally rely on it, as it may not be accurate and may create a dispute later on. Does your company provide free quotations? Yes. Upon visiting the job site and confirming our client’s specifications and requirements in writing, we then provide our free quotation in writing, which is subjected to negotiations in most cases, and it is valid for three months. Our quotations, in certain circumstances, can be matched up with our clients’ allocated budget to their project/s without compromising the quality and cutting the corners, as long as our clients’ allocated budget is not unreasonably below the standard costs of completing their job. Can I access my job site during your painting activities? May be NOT. Upon allocating the contract of getting the job done to us, we will require a full access to the site and the work area may not be accessible to others till the job is being completed, due to health and safety issues. How important OH & S is to your company? 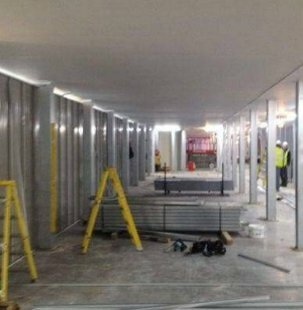 We have a ZERO tolerance policy in relation to health and safety issues concerning our painting activities, and DO make sure that our employees have understood all aspects of our SWMS created for the job site that they will be working on prior they commence the job. Why we should engage your company? In brief, we have more than two decades of solid experience in the field, and very well resourced in order to get the job done. We are 100% transparent with our clients and DO make sure that we have understood each other very well from the inception to the completion of the job. We don’t charge our clients more than our quotation, unless our clients make considerable changes/variations to the scope of the job otherwise. We go well beyond our duties and obligations during the life of the project with the intention of producing a good quality workmanship and exceeding our clients’ expectations. How the site conditions would look like after you completed the job? We provide a brief report of the job site conditions prior and after we commence and complete our activities, and leave the job site as clean as it was before. We will require 10% deposit prior to commencing any jobs, which will be followed up by a number of progressive payments, if the job takes more than a month to complete. Full payment shall be kindly required upon completing the job, unless agreed differently otherwise. We do accept all types of payments. YES. Our workmanship, depending on the nature of the project, is guaranteed up to 10 years, with a minimum of 5 years, and it will be outlined in details in our quotation. Does your company comply with BCA? YES. Complying with the Building Codes of Australia, is a must for us, and we will advice our clients in this regard if their specification and job requirements lead us not to comply with BCA. Is your company trustworthy and reliable? YES. Our past and present failures and successes have made us to become whoever we are right, so we DO understand the imperativeness of being trusted by others as well as being reliable in getting the job done within allocated time frame and budget. How does your company manage a dispute? Our communications with our clients, without any exemptions, are all in writing, and if in a highly unlikely event a dispute arises in between us that is not indicated or addressed in writing, we believe our common sense will have the answer. And if the common sense fails to address the issue, we will leave the matter to our clients and his/her experts to investigate and to come up with a reasonably practical solution, rather than taking the matter in our own hands in order to come up with our way of dealing the matter. Yes, you may cancel your booking two weeks prior we commence your job and may receive your full deposit back into your bank account within 3 to 5 business days. How does your company maintain its' business relationship with its clients? We endeavour to maintain our business relationships with our present and past clients through the work that we do, and achieving their satisfaction at the end of the job, as it helps us to build on our reputations, and for us nothing substitutes our client’s satisfaction and their happy face at the end of the job. Can I ask a question that is not stated in you FAQ page? YES. If we have not answered all of your questions, please do not hesitate to call us on 0416 59 59 49, to find out more, or email your enquiry to info@starlandpainting.com.au, and we will get back to you as soon as we can.